Steven Butala: Welcome to the Land Investor Show. Happy Friday. 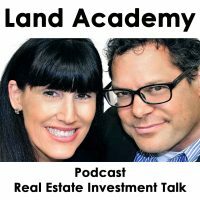 Entertaining Land Investment Talk. I’m Steven Jack Butala. 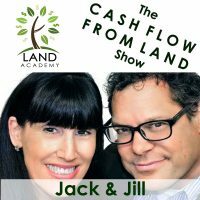 Steven Butala: Today Jill and I talk about Land Academy data versus House Academy data, and we’re wrapping up data week in case you didn’t know. Steven Butala: Jill’s happy. Wasn’t that bad was it? Jill DeWit: No. No. No. No. It’s so funny. I gotta tell you something though. Some people data really scares them, and I told this to one of my employees the other day. We have a lockbox on our office door, because it just saves keys, and we don’t have to worry about, and if I change something, I don’t have to change anybody’s keys. I just change the lockbox code. No big deal. So, our broker walked into our office building yesterday, and they saw the lockbox, and so they’re peering in the windows thinking there’s nobody in there. Steven Butala: Oh, you know, I’m looking for a house in … That happens to me every day. Jill DeWit: Yeah. And I’m like “Oh, I don’t wanna do that. That’s the last thing.” So, I properly tried to tell her, I said “Please remove real estate, because that just opens up the thing that’s not what we do in that form, what they think, what they always assume.” I said “So, please replace it with we are investors, property investors.” I said, “Or if you really don’t wanna explain much, say data.” Because that word. Steven Butala: Yeah, we teach math. Jill DeWit: Right. We teach math. Steven Butala: Everybody run away. Steven Butala: Run away with that. Steven Butala: We kinda do teach math. Jill DeWit: And data. More data. Steven Butala: Now that I think about it. Jill DeWit: We don’t teach ’em how to add up the numbers, we teach ’em what to use to add up the numbers, but it’s really about data. And even hers like “Oh, how am I gonna explain that?” I’m like “Don’t. That’s the whole point.” We’re here being under the radar on purpose. At least as far as our office is concerned. Not in life. Jill DeWit: Sorry. That was a long story. Sorry. Thanks. Steven Butala: So, did they just turn around and leave? Jill DeWit: Which is totally cool. Steven Butala: That’s fine. Set down and listen to the show, then they’ll really not wanna [inaudible 00:02:54]. Steven Butala: Before we actually get into the topic today, let’s take a question posted by one of our members on the LandInvestors.com online community. It’s free. Jill DeWit: I wanna add one more little point, and I’m sure all of our new members have this. Once you’re in our world and you figure it out, and you’re at a dinner party, remember I always had this problem. Steven Butala: I still have. Jill DeWit: And I know our members do to. People go “What do you do?” And you go, there’s an exhale, and you go “How do I describe it that this person’s gonna understand?” That’s always a thing, and I know that all of our new members, and old members, whatever, we always have this problem. It’s funny. Steven Butala: We were at a dinner party recently, Jill and I, and we described the whole thing to people that we’ve known for a long time, and they were disgusted with it. Jill DeWit: Why do you think disgusted? I didn’t catch that? Jill DeWit: Why was it? Steven Butala: I mean, back in Arizona. Not the most recent dinner party. Jill DeWit: Why do you think disgusting, because I still didn’t catch that? Steven Butala: I just think there are certain people who see the light on anything, and certain people don’t. Steven Butala: How does that help me as a homeowner at what you do? That’s stupid. Jill DeWit: I’ll get your cash offer tomorrow. That’s how it helps ya. Steven Butala: I know this is off topic, so recently somebody asked me what I do, I said “Look, I’ll try to make it as simple as possible. We buy a piece of real estate, and then we sell it for more.” And they just get this look in their stuff like. Steven Butala: Like I don’t know what’s meaningful? Like going to work as an Engineer? I mean, I don’t know. Steven Butala: I’ve never met a happy medical doctor in my life. Jill DeWit: Yeah. I do not know. Steven Butala: I hope so. Steven Butala: I can’t imagine doing anything else. Steven Butala: I can’t imagine it. Jill DeWit: I totally agree. All right. DeVal asks “Hi, guys. I’m a UK, United Kingdom citizen living in France. 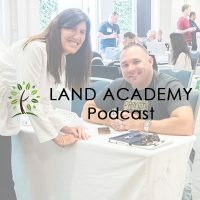 Been very intrigued with this business model for a few months now, and I’m looking to start a monthly membership with Land Academy some time this year. However, before I do that, do I need to set up a foreign-owned LLC, and I think I’ve come up with a significant obstacle in trying to set up my business bank account. A few banks have told me that as this is an online business, I would need a physical office in the United States for them to visit and audit me. This is all hilarious. So they could see that I’m doing what I say I’m doing. Simply having a registered business won’t suffice according to them. I plan on carrying on this business out completely, remotely from Europe, with no intention of moving to the United States. Has anyone overseas found a solution to this problem? And if so, would you be able to name the bank that you’re using? I prefer to use JHSBC, as I currently have a personal checking account with them. Unfortunately, this is one of the banks that has provided this reaction. Thanks for taking the time to read and respond. Steven Butala: How lucky are we? How much opportunity do we have in this country, that we live here? Steven Butala: Where we walk in, open a checking account, slap down $100, $500, go to the internet in your car, on your phone, and file for an LLC, and get one in, I don’t know, less than an hour, and then get a federal tax ID number immediately, and you’re in business in an hour. In an hour. Steven Butala: With a working bank account, and the whole thing. Jill DeWit: Wow! ‘Cause you have to jump through that many hoops and all that stuff? Steven Butala: Just the incorporation. Yeah. Steven Butala: People have to come out and see what you’re doing. We are so lucky here. About once a week I had the feeling I just got from listening to this. I meet so many people that are so frustrated with their jobs, or with the companies that they own, and they’re just walking around whining about it. And I’m like “Man, I’ll tell ya, there’s a data solution to solving almost every problem. Steven Butala: So, as far as this guy goes, I think that you’re trying to, as Jill would say, you’re asking for permission. Jill DeWit: Asking for permission. Steven Butala: I think what I would do is send a mailer out, and buy a piece of property with whatever checking account you have right now, and then do it again, and maybe around your eighth or tenth transaction, I would really start to heavily look into incorporating and getting an LLC. But I do know, I hesitate to even call it a work around, but a solution to this problem is to get an American partner. Steven Butala: You can find that person. You don’t have to be a part of our group or anything. Just find that person on LandInvestors.com and ask ’em. There’s lots of guys in our group. I can name ’em by first name that would be happy to take you on as a partner and share deals with you. Frankly, I’d be one of those people, but Jill and I are spread so thin. Every day before we sit down. Steven Butala: And record the show, we try not to do it, but it’s like “okay, what’s going wrong today? What website doesn’t work? Who can’t check out from which website and why?” We just had that conversation. Steven Butala: So, I wish I could be partners with every single person that contacted me. Jill DeWit: Me too. I agree. Thank you. Steven Butala: I got somebody’s life story recently about why their first mailer didn’t go the way that they planned, and through there at [inaudible 00:08:45] is an email for ’em. And through the whole email, they answered all their own question. The mailer was too small, they didn’t price it right. They didn’t take that last 10% of effort to price it correctly, and then scrub the data well, and they only send 600 or 700 units out. Jill DeWit: I think I saw that. That was part of the Dallas group? Steven Butala: Yes, it was. Did you read the whole thing? Jill DeWit: I did. I did. Steven Butala: What did they say at the end? Jill DeWit: I forgot. I don’t recall. I think you’re right. From what I remember reading about that, was they kinda answered all their own questions. Steven Butala: Don’t get discouraged. Jill DeWit: Don’t. You will. We haven’t talked about that in a while. You are gonna make some mistakes. Be ready for it. It’s okay. By recovering and moving on, and learning from your mistakes, then you won’t don’t it again. God, if we all just gave up right away on the first mistake, not of us would be there including Jack and I.
Steven Butala: Yeah. Geez. If I gave up on the 10th major error. Jill DeWit: Yeah. I’m talking about work, not just women. Steven Butala: I think that’s in the 100s. Women are so difficult to understand. Jill DeWit: Boy, if I gave up. Whoo. Man. Steven Butala: This is Jill’s [inaudible 00:09:57]. Jill’s way of wrapping up data week with. Jill DeWit: Whoo, and we talk about something other than data? Steven Butala: Other than data, yeah. Jill DeWit: I am just kidding. Thank you. Steven Butala: Today’s topic “Land data.” Land Academy data versus house data, and the differences and the similarities, and why their both … We’ll get into it actually. This is the meat of the show. Land data is far and sparse. When you look at a real piece of property, if you can visualize it like in Google Earth or even if you get outta your car on the side of the road, and you’re looking at a piece of property, and it looks exactly like the next one, there all about the same. It’s undeveloped, rural property, and it doesn’t change hands very often, therefore, all the big data agencies, including the assessor, the assessor doesn’t care about unimproved property out there. The assessor cares about urban property that’s changing all the time, and they wanna tax it more. Steven Butala: They’re interested in that. Steven Butala: All data starts with the assessor, and it gets repackaged up by RealQuest, or repackaged up by Title Pro, or Data Tree. So, rural, vacant land as a dataset is really easy to understand, especially for a beginner. There’s not much there to look at. House data is among the most difficult to understand. However, it’s the most populated dataset you can find. So, if you know what you’re doing. Steven Butala: You can really manipulate it to profit from it financially. So, that’s why I always say Land Academy, or the land data, what we teach in Land Academy is a fantastic starting point. And then once you’re use to it, and you’ve made it work for yourself, and you realize it’s something you wanna do consistently from a career standpoint, move onto houses. There’s some things that people get hung up on that have nothing to do with data at all, and they have to do is like doing transactions all the time for a living. There’s a lot of things you could do for a living. You can buy some stuff from China and sell it online. There’s a lot of things you can do. I love transactions. I think there’s so much money. It’s so interesting and fun to have transaction-based data. For us, there’s just no surprises. Jill DeWit: Right. You know what’s in it? Steven Butala: It’s all about manipulating the data. Go ahead. Jill DeWit: I say what does it for is it’s the dollar amount per transaction. I’m not gonna get as excited when I’ve sold six necklaces at $1.50 profit each. Even if I sold 6,000 at $1.50 profit each, which people would be jumping up and down at, versus I’d rather just do a few transactions with a lot bigger margins. Steven Butala: Yeah. The reason I’m still doing this, and we’re not just sitting here buying and selling real estate, which is what we did for years and years, and years. The reason that we have these academies now, Land Academy and House Academy, is because I just get a charge of a seeing other people do well. Steven Butala: And with House Academy, more than Land Academy now, we have partners. We have financial partners, and boots on the ground, and everybody’s getting a big paycheck every week. I get off on that. Steven Butala: So, I love the transaction piece of it, but I also love the subscription revenue, subscription education publishing piece to it. Steven Butala: So, what really is the difference between a land dataset and a house dataset? Well, we already covered the fact that one’s pretty sparse and less populated from a data standpoint, and one’s packed. So, if you think about buying a piece of property in any given county, let’s see, you’re looking at a dataset of all the people who own a five-acre property in some county in Tennessee let’s say. We’re picking on Tennessee lately. You’re not gonna see much variance when you look at the data from one property to the next. Albeit, some of ’em are real urban, some of ’em are very rural, and you can smoke those out by the assessed value. So, be careful here. We don’t ever use a set value for pricing, but we do use it to make it relative to the next line item. One five-acre property may be right smack in the middle of the town and worth $5 million, and the next line down is a very rural property. Steven Butala: Same size, maybe the same owner. Jill DeWit: Right. It’s true. Steven Butala: And it’s worth $10,000. Steven Butala: So, our job is to look at those assessed values, smoke that stuff out, and price it accordingly. Maybe you just scrub out that it’s a $5 million property all together, because that’s just not what you’re trying to do here. Steven Butala: Bang. And then you price it, and you get it in the mail. You want all the properties that are assessed at less than $100,000, and you’re gonna price ’em at $5,000 each, because you determined that that’s what the market value is. We don’t use the assessed value again. I sound like a broken record. Steven Butala: We don’t use the assessed value to price it, we just use it to it’s relativity against the next line item, and that’s it. So, everything that’s assessed at less than $100,000, you send it out for $5,000, because you think they’re all worth at least more than $10,000. Steven Butala: And five, or 10, or 15, 20 people sign ’em and send ’em back. Steven Butala: It’s as easy as that. That’s how easy it is to do a land mailer. Steven Butala: We cover it all in the Land Academy. Jill DeWit: It’s so nice. We’ve been talking a lot about data, and we keep going to the little bit of the house stuff, but you just brought up a great point. I love the land. It’s just so much easier these transactions. I don’t have to think about stuff. I don’t really care about the roof, and there’s not gonna be a pool in the background, in the backyard that’s empty that I have to think about. Steven Butala: Sounds like you’re having an empty-pool experience. Jill DeWit: Maybe I am having an empty-pool experience. Steven Butala: I know you are. Jill DeWit: We’ll put a new roof on though. Well, that’s great. Oh, and I have solar. Oh, no, that’s a nightmare, ’cause we did that one before. But you know, with these land transactions, I don’t have to think about it, and I can have margins, by the way, just as high. I can have a $20,000 profit margin on a piece of vacant land. Jill DeWit: Just like a house. Steven Butala: Hundreds of thousands of dollars. Jill DeWit: With a lot less headache. Jill DeWit: Thank you. I’m done. Steven Butala: That’s an overview of the data side for land. For houses, it gets way, way more complicated from a pricing standpoint. Steven Butala: So, same county in Tennessee, you take a look at, the first thing I look at is everybody who owns a single-family residence that’s detached, SFR, then I remove everybody who’s got a mortgage entirely. That leave about 40%-50% of the homeowners left. Then I look at a few things depending on a lot to things, but maybe the age of the house, square footage, three bedrooms. I don’t wanna send out let’s say, mailers for two bedrooms, only three bedrooms and above. It gets a little bit more complicated. So, let’s say now you’ve got that dataset scrubbed down. It’s already taken twice as long as land. Then I add in all their algorithms that we talked about earlier this week, Zillow, Trulia, Data Tree, Redfin, [inaudible 00:17:32] and probably Realtor.com now. Take an average of those, and cross check it with what I think the properties are gonna sell for from a price per square foot. Then I apply census-track data to make sure each line item, each offer that goes out is priced correctly. A lot a work. But when that thing hits the mail, and I’ve got 3,000 units in it, I know I’m buying a house. If I send out 10,000 units, which costs about $4,000, or $5,000 total, I know I’m gonna buy three properties, where I’m gonna make probably $60,000; $20,000 each. So, the ballpark difference, where I gotta do a lot a detail is that I really, really know what’s gonna happen with houses. And I know that once we get the call back, and a letter back, there’s no process in houses at all. It immediately sells. We immediately know who’s gonna buy it, and the cash printing press turns on. Steven Butala: With land, you have to do a HGML posting, get it all over the internet, but nine times outta ten, it sells in the first one or two weeks. But it’s more work. So, the datasets, albeit, the source of them is the same, they are treated and looked at and used so much differently. Jill DeWit: Not meaning where we get them from. Jill DeWit: ‘Cause currently, we use all three programs, but like we use. Steven Butala: We use RealQuest for land. Jill DeWit: So here’s usually what I tell people they’re starting out, ’cause if you’re a new member of Land Academy, you automatically get RealQuest Pro, and you get TitlePro247, which is like AgentPro247. A lot of people know AgentPro. Well, let me go back. CoreLogics, RealQeust Pro, is the same as ListSource. That’s their company too. That’s also CoreLogic. This is how we roll. We always use the mack daddy of everything. We always pay extra to have the top, top, top line of everything. I wanna decide what I want included and not included. Steven Butala: That’s right. ListSource is a cute little coverup for the real data source, which is RealQuest Pro. Jill DeWit: Exactly. You want all the line items. Not the 10 that they think that you need. That’s the difference between ListSource. Steven Butala: Data people love to just tell me what I need. Steven Butala: And they revel in it. Jill DeWit: Well, no, I think they’re talking to a lot of people that don’t understand it, but we understand it. Steven Butala: Just give me all the date. I’ll figure it out. Jill DeWit: Exactly. I’ll figure it out. So, anyways so that’s what we use there. Then mostly a lot of it’s for due diligence, but as another good resource we use TitlePro247, which is like AgentPro247, and a lot a people know AgentPro, but again, this is the mack daddy. So, we have that. We are licensed providers. We share that with everybody. So, that’s awesome. So, that’s pretty much what’s used on the land side. The house side now, we’ve come along with Data Tree, which is First American Titles, which now we have found is really, really top for that type of property, but in reality, Jack, uses all three. Jill DeWit: For all types. Steven Butala: And Data Tree too, because you never buy a house without title insurance, without an escrow company. Steven Butala: We buy land without it all the time. Steven Butala: So, Data Tree is a logical extension for First American Title. For a lot of reason. Steven Butala: In fact, we don’t do any research on the condition of title before we buy it, of the house. We always do it with land. Always. Jill DeWit: Oh, before we buy it? Jill DeWit: Wait. Wait. Say that again. I’m sorry. Steven Butala: We never, ever do a condition of title in house to see whether or not the guy who we’re talking to owns the house. Jill DeWit: Oh, I’d spot check it, but that’s all. Jill DeWit: ‘Cause I’m acting as my own title agent. Steven Butala: So that’s another reason you need different dataset. Steven Butala: Well, thank you for sticking with us. Honestly, it’s the end of shark week. I mean, data week. Steven Butala: I know that. Jill DeWit: Did you say that on purpose. Steven Butala: I know that it’s not the most exciting topic to hear, but congratulations you got through it. I got through it actually. Jill DeWit: I got through it actually. Steven Butala: So, next week we talk about some other stuff that’s a little bit more exciting. But data is the nucleus here, and if you’re still with us at the end here, you probably are a data person, and can see the value of it. Jill DeWit: Very good chance. Steven Butala: You’ve done it again. You’ve spent another, I don’t know, let’s say 25 minutes this time, listening to the Land Investor Show. Join us tomorrow for another episode where we discuss the step-by-step process of buying a property for immediate resale. Both land and houses. Jill DeWit: And we answer your questions, post it on our online free community at landinvestors.com. Jill DeWit: What do you mean you made it through the week? Steven Butala: It’s just as hard for me. Jill DeWit: Is it? Is it now? Steven Butala: I’ll tell you what. No, it’s not as hard, but I’ll tell ya, every once in a while I’m sure you’ve had this thought too. It’s like what if we didn’t teach anything? Well, if all we do today is get up and buy a bunch of real estate and resell it, and we had one website, think about that for a second? Jill DeWit: It’s kinda like we use to have it. Steven Butala: It’s like “Oh, my God, I want that. Jill DeWit: And we messed it all up. Steven Butala: All of the issues that we face, and I’m not complaining. Steven Butala: All the issues we face are Land Academy or House Academy driven, and it’s not ’cause the customers are bad or any of that. It’s all IT/there’s a lot of people involved. Jill DeWit: You know why? Well, let me tell you why, and this is a good point, because it’s got so big. Jill DeWit: Well, let me tell you why. I’m dealing with a thing right now. Jill DeWit: On LandPin, our selling website that we share with all of our members. They get to use it for free. Okay. And it’s only got a fraction of what should be posted on there. Jill DeWit: And there’s over 5,000 properties. Jill DeWit: I reached out to a guy yesterday, to help me solve some IT stuff. I’m testing a new company now to see if they can fix it. We might have to redo the whole website. Steven Butala: Yeah, and that’s fine too. Jill DeWit: Kinda thing, but my point of this is if it was just one little website, and it’s just our properties, and there are a couple hundred available at a time, and all that good stuff, then yeah, it wouldn’t be this hard. But you know what Jack, we started down this path. Jill DeWit: And I’m still happy that we did it. Steven Butala: I’m not complaining. Jill DeWit: And we didn’t seek this out. Just like everything, people came to us. It was Land Academy became because so many people kept saying “You gotta do this. You gotta do this. You gotta do this. I wanna know. And you tell me, can you help me, can you help?” Okay, fine. And this is the only way we could do it, and do more than one person at a time. Jill DeWit: So, here we are, and I wouldn’t change a thing, but is a whole lot a work, a different kind of work. Jill DeWit: But it’s cool. Steven Butala: We’ve met some amazing people, and we’ve got now the whole point for us selfishly, well, I want everybody to learn, but we have picked up some amazing business partners. Steven Butala: Some amazing finance people. Jill DeWit: And we didn’t set out for that either. Steven Butala: Right. Right. Right. Jill DeWit: I thought Land Academy was just gonna be a little side gig. Steven Butala: That’s what I thought. Jill DeWit: While we’re still doing our own deals, and they would really be totally separate. You know, we wouldn’t be doing deals within Land Academy and within this community. Steven Butala: That’s what I thought [crosstalk 00:25:27]. Same thing. Jill DeWit: Never thought that was gonna happen. I was just kinda “Oh, here’s a way of sharing our business.” We’ll be over here running our business, and then it just exploded. Jill DeWit: And here we go. Steven Butala: Yeah, Jill, you’re right. It all is like demand driven. Jill DeWit: Totally. Everything we’ve done has been seriously. Steven Butala: It’s answering people’s questions in detail. Jill DeWit: Everything we’ve done. Even our little online community. Jill DeWit: Is because people ask, and what’s a bummer is we’ve gone down the path that people asked that we just weren’t set up to do Jill Live. Remember we started to answer, and people were saying “Can you help us with phones?” And we just started to try to help ’em, and realized that’s not our forte everybody. We might circle back around, and come up with a group solution, but. Steven Butala: Yeah, if you need somebody to answer your phone, go over to Pat Live. We have no affiliation or anything like that. Steven Butala: They do a good job. Steven Butala: If you need to accept credit cards, that’s different. Go up to Land Academy, and you’ll see a link there. Sorry. Land Investors. Click on that. That’ll get you going. They’re doing a great job for us. Steven Butala: Heartland Payment Systems. Jill DeWit: Exactly. Words gonna get out. Steven Butala: I see the report. Jill DeWit: Awesome. Hey, share the fun, and the word by subscribing on iTunes or wherever you’re listening, and while you’re at it, please rate us there. We are Steve and Jill.